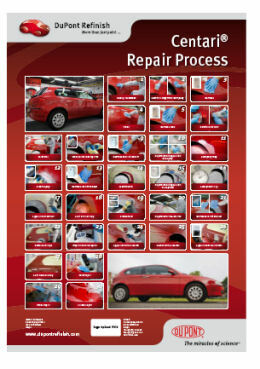 Panelcraft Auto uses DuPont paint for all our repair works. 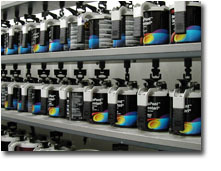 DuPont is the world's largest automotive paint developer and supplier, whose coating systems are used by nearly all automotive manufacturers. It has been doing so for more than a century. As the most comprehensive single source of products and technologies for the automotive industry, DuPont benefits from this unique insight into industry requirements, from the factory production line to the repair workshop. Panelcraft Auto uses computerised paint matching to ensure results of the highest exacting standards.Besides the shape of a car, the colour and finishing is the first thing that catches attention on a car. The quality and durability of the finish is a reflection of the quality and durability of the car itself. Through a wide array of colors and effects, we offer the opportunity for customers to refresh and customise their cars at a relatively low cost while providing the quality and durability to protect and maintain the car's value.